. . . but a happy, tasty ending. I’m feeling a cold draft–very cold draft–around my ankles! 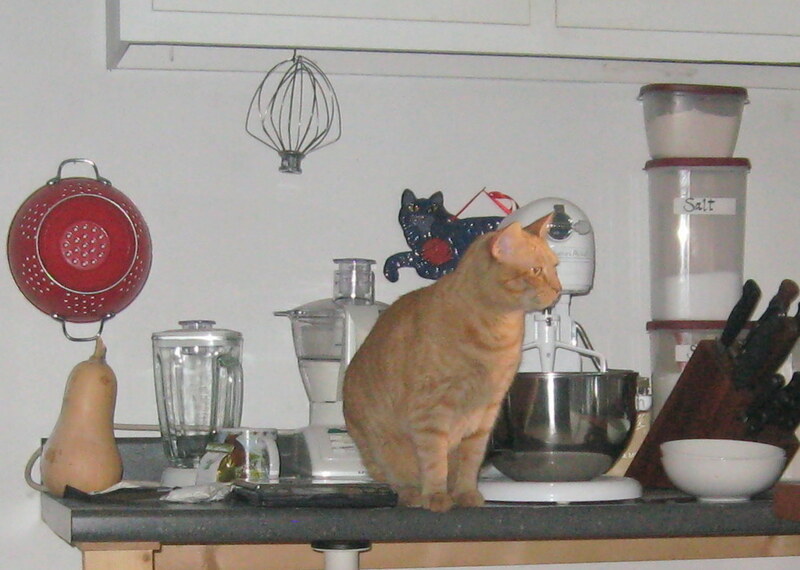 I know I’m not dreaming though it’s the middle of the night or somewhere in the wee hours of the morning–I’ve come to the kitchen (without turning on the light) to get a drink of water. . . . Cold draft? Really, really cold draft–on my ankles. 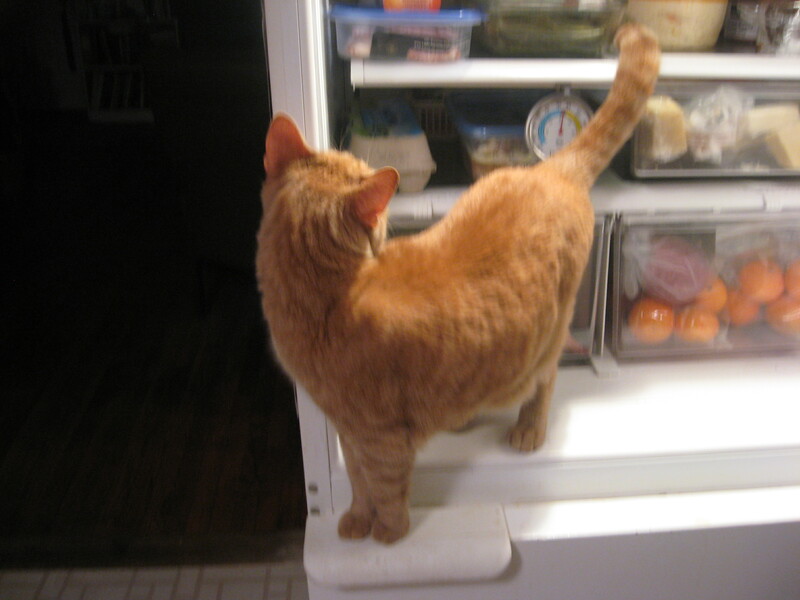 Reality gradually seeps into consciousness: I’m standing in front of the refrigerator–which has a bottom freezer, which I have stuffed pretty full.. . .
Light on. Obviously I’ve stuffed the freezer a little too full or something has fallen out of place. The freezer door is very slightly ajar. Even in my rather sleep-befuddled state, brain clicked on. Several epithets which should not be printed. 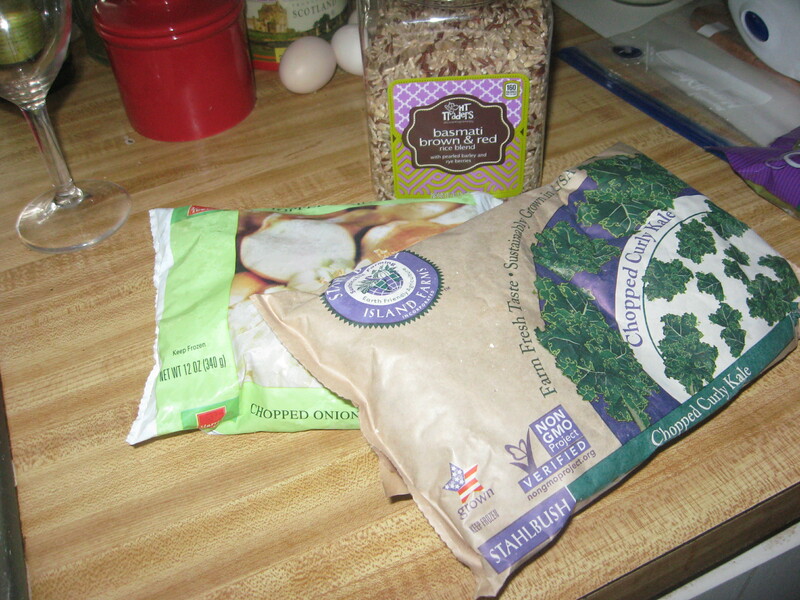 Open freezer door and palpate the front packages: kale, butternut squash, chopped onions. Soft, but not obviously completely thawed, but destined to turn into a huge clump of re-frozen vegetables.The only meat even close was a game hen which was still hard as a rock. Morning after: I’ve got work that that to be done NOW so spending a bunch of time in the kitchen or skulking through cookbooks isn’t on my agenda. It’s time for some improvisation: take chopped onions, chopped kale and cubed butternut squash. . . .add some bratwursts that are in the fridge. Add a portion of mixed grains (brown basmati rice, red rice, barley, rye berries) and one multipurpose rice cooker. I’m sure you’re not surprised that I’d resort to the rice cooker, given all the other things I have it to cook. Once you understand the physics of its function, it’s really easy to make it do what you want. So here we go again with the rice cooker. Cook’s note: first this is not a recipe–it’s an improvisational happening. Secondly, it’s recommended that you deliberately thaw the vegetables in the refrigerator or on the counter instead of the method described here if you wish to have them unfrozen. You can put frozen vegetables in the rice cooker without thawing unless you have a great big blob of frozen stuff. You can adjust the proportions of kale, onions, and squash as desired. when grains are cooked as you like them, serve! Despite the ridiculous circumstances that gave rise to this recipe, it was very tasty, and I’m sure some version of it will be made again. The combination of kale with the butternut squash was delightful. The combination of grains gives some interesting texture and flavor to the dish.